With her many ingenious designs—from Chloe’s Paddington, to Celine’s luggage tote, Phoebe Philo revives minimalism in fashion. Her designs garner well-deserved attention and cater to customers looking for a more polished look. Celine influenced a trend towards clean, classic, inconspicuous bags, and since it’s rebirth in 2010, I’ve been lusting over Philo’s works of art. Celine’s Box Bag is just as classy as it is modern, not monstrously priced, though it carries a heftier price tag, and is versatile. 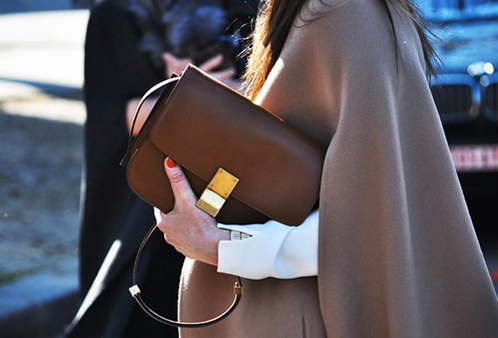 Released in 2011, the box bag is quintessentially timeless. With it’s simple lines and effortless design, it’s the perfect alternative to your Classic Chanel flap bag. The weight and size, practical for everyday use, and can be styled up or down! I’ve always been one for pretty, glammy, luxurious things, but before making a purchase, I still do my fair share of research and homework. My findings? The only Cons I can think of? 1. Price: For most of us, when you spend your money buying one thing, you sacrifice purchasing something else…For the price of a Chanel’s Classic Flap bag, and even a tad more pricy than Chanel’s latest Crossing Times Vertical Mini Bag, Celine’s box bag does carry a steep price tag. 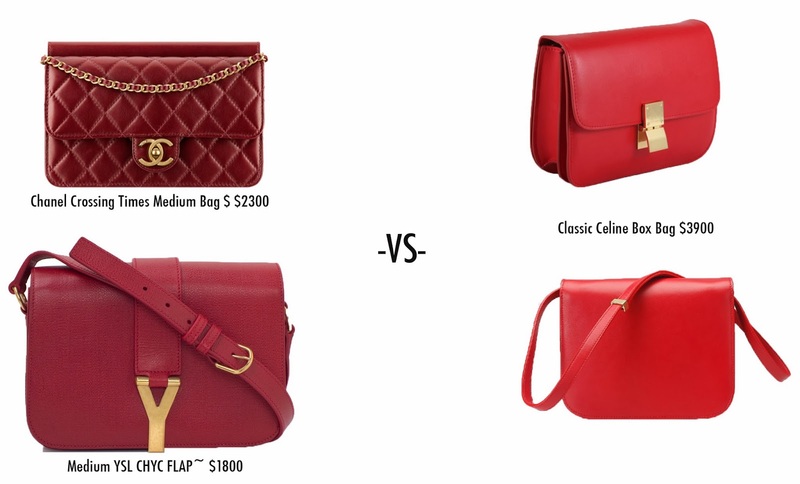 Comparing apples to apples, the Box Bag is double YSL’s Chyc Flap, which looks somewhat similar in structure, shape, and size, but in my opinion, much more luxurious and subtle. Would you rather purchase a YSL Flap Bag and a Chanel, or one Box Bag? Personally, I would purchase the Medium Box in either maroon, dark brown, or for fun, perhaps dark pink! 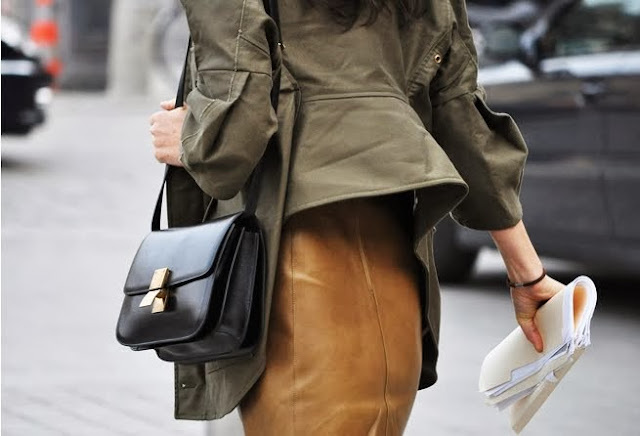 This bag would look gorgeous and so feminine in a crème colored shoulder bag with gold hardware…but with my track record, it’s better if I stick to more “low maintenance” colors.